instructional methodology like I usually do, I’m teaching the course on Ethical and Professional issues. This topic is not new to me because Rebecca and I have been conducting a number of workshops and webinars on Ethical Issues. 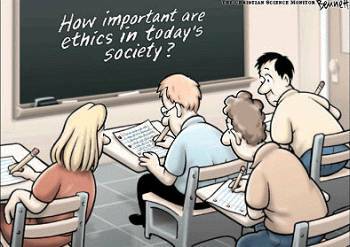 But, prepping for and teaching a semester-long course on Ethical Issues is new to me. I hope to use case studies to expose these professionals in training to many situations. What I would like from my readers is some assistance with case studies. 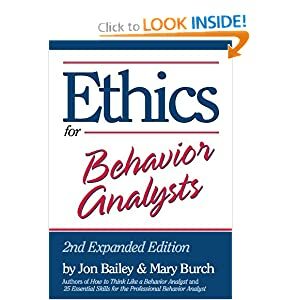 I plan on using the Association for Professional Behavior Analysts and of course I have the best book by Bailey and Burch. But I would love add more case studies. So, take a few minutes and post about an ethical or professional issue regarding behavior analysis. This could be from a BCBA who has been placed in a difficult situation, this could be from a teacher or building principal who has seen a behavior analyst make an unethical decision, this could be from a parent who was placed in a difficult situation by a behavior analyst. I want to thank you in advance for any assistance you can provide!